How PHP is A Boon To Web App Development? Whether you are a web developer or a business organization that doesn’t have any idea about web app development, you would always like to have something that allows you with much flexibility along with the superior level of user experience. In the case, while you are searching for a dynamic & interactive web app solution, the first word that strikes a seasoned web developer is PHP. Well, why PHP? Because PHP is favored by web developers worldwide because it offers them the breadth to develop highly interactive and unique web applications with simple & fact execution. It is also important to mention that PHP has emerged as one of the versatile server-side scripting languages that offer utmost freedom to design intuitive and interactive web apps & websites. 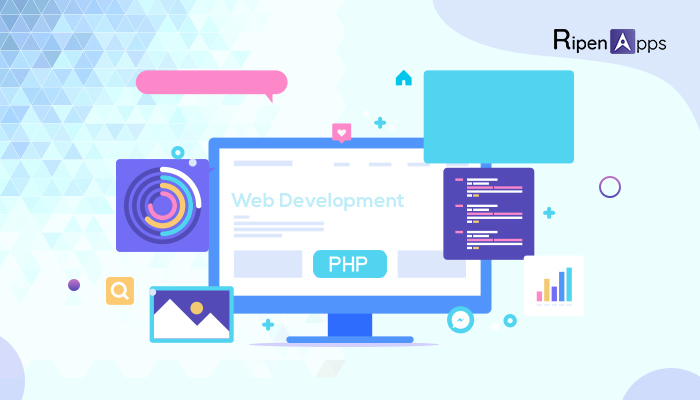 Here, we are listing some important reasons to convince you that PHP is the best language for your web app development project. PHP is an open source language and it makes web development competent as well as more interactive. In order to make web apps or website run smoothly, make sure to pick up the company offering PHP web development services in India. PHP is the best choice for those developers that are continually trying to make it better in terms of frameworks, components as well as web development tools. PHP is a partially objected-oriented language. It supports code reusability, hence reusable PHP components save much time and effort in the process of web app development. There are lots of PHP frameworks, like Symfony, CodeIgniter, Laravel, Joomla, WordPress etc. Each of the frameworks carries its own functionality & offers fast & secure development in the specific field. Being versatile & flexible, PHP is widely closable. PHP code is compatible with all major platforms from Windows, UNIX & Linux to MacOS. It supports most of the servers including Apache, Microsoft IIS, Netscape, iPlanet, Caudium, Xitami, Tornado etc plus more than twenty databases including MySQL, MongoDB, PostgreSQL, and others. That is also a reason, why PHP is often chosen for cross-platform application development. In terms of revenue, business often wins when the IT solution is developed in iterations. It permits launching different modules of the software progressively and making mandatory amendments in the course of the development. With the PHP, it is easy to develop & support scalable IT projects & continually generate multiple pages with various settings. PHP code is defined by lucidity and exceptional documentation. So, it takes less time to appreciate in detail what is going on in the code – of course, when it is well-written. And you can securely organize iterative development with negligible risks of foot-dragging in case you need to alter the programmer or the entire team. Every developer, as well as startups, wants to develop applications using web programming languages that are more easy, secure & reliable to find and fix any error or failure. So, PHP with each request it cleans up and then starts over. The predefined function set of PHP supports numerous trusted data encryption options. Therefore, a lot of third-party applications can be used to secure our data. Security being of the utmost importance for any application, this is a critical quality when it comes to making choice of the language for application development. The expansion of PHP and its frameworks in the modern years has been exceptional, and its esteem in the industry is still expanding. The main business qualities of PHP include cost-efficiency, scalability, compatibility, simplicity, and user-friendliness.